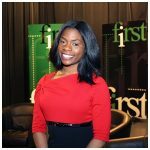 The Wilmington business community has one less worry, thanks to a $7 million project designed to reduce flooding in the area. On Monday, the Delaware Department of Natural Resources and Environmental Control celebrated the completion of a project along Little Mill Creek, where 40 nearby businesses have been dealing with a long history of recurrent flooding. What used to look like muddy ground is now a stabilized bank along the creek with planted trees and shrubs to further slow floodwaters. As a result, pollution in the area has also been reduced due to the clean-up. “We’re grateful to have this work done,” said business owner Doug Suiter who has worked in the area since 1981. 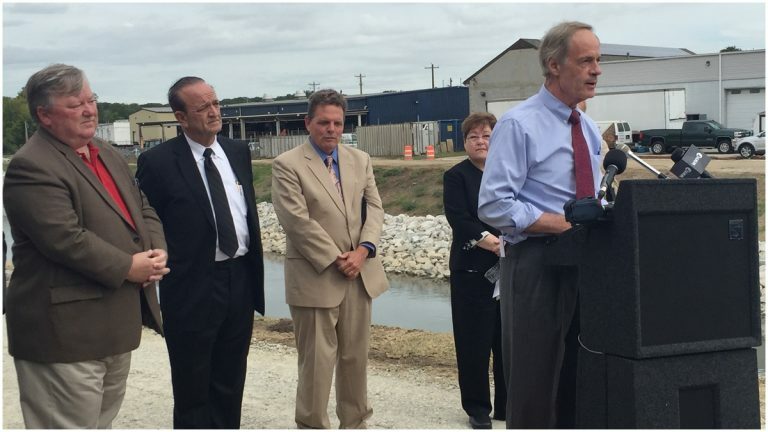 “For many years, flooding has caused costly damages to the businesses here, and I’m so glad federal, state and local partners could work together to get funding to fix this devastating problem,” said U.S. Sen. Tom Carper. Senator Carper was joined by New Castle County Executive Tom Gordon, local business owners as well as state legislators. Officials from the Army Corps of Engineers who managed the overall project were also there. In fact, all those involved toured recent improvements made to the channel, primarily on the lower portion of Little Mill Creek. Officials even shared stories about the project, which extends from the Maryland Avenue Bridge to the Amtrak Railroad Bridge in Wilmington. The goal was to deepen and widen the existing creek channel to increase flow capacity to businesses along Germany, Meco and Brookside Drives. The first phase of the project was completed back in 2007, which reduced flooding to residential properties along the upper portion of the creek, from Kirkwood Highway Bridge to the CSX Wilsmere Railroad Yard Bridge. “This was a massive project that was critically important to do right,” said Senate President Pro Tem Patricia Blevins of Elsmere.